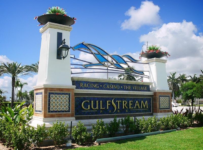 Saturday, July 25– If Gulfstream Park had an award for most improved horse at this year’s spring and summer meets, Good and Proper would be one of the top contenders. This afternoon, Good and Proper will seek his third straight win and attempt to take another step forward as he makes his stakes debut. 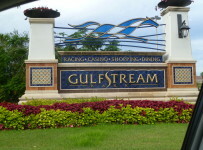 He is one of seven entrants for Gulfstream’s $75,000 Bear’s Den at 1 1/16 miles on turf for 3-year-olds. 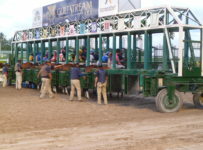 The Bear’s Den is the ninth race with scheduled post time of 5:41 p.m. In the Bear’s Den the probable favorites are Rizwan and My Point Exactly. 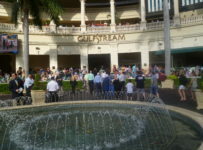 Each has a win in a Gulfstream turf stakes this year. The field also has Semblance of Order. 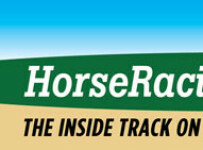 That horse has a recent record of improvement that is similar to Good and Proper–but not as sudden and dramatic. 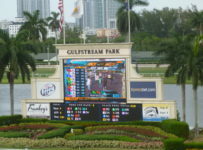 Semblance of Order broke his maiden in a 1 1/16 mile turf race at Gulfstream on May 2. 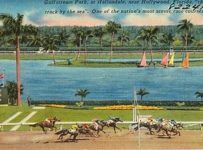 Two races later on June 30 he won a one mile optional claimer on the turf at Gulfstream, He beat a field that included older horses. Good and Proper is a gelded son of Awesome Again. 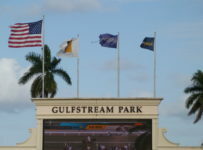 Through April 25 Good and Proper was winless in four starts–all on turf at Gulfstream. He had one third place finish, but was off the board in the other races. Trainer Larry Bates then gave Good and Proper a two-month break. Jockey Edgard Zayas kept Good and Proper near the outside and in the clear for most of the race. They rallied coming around the turn and came head-to-head with Concert Stage. After a stretch duel, Good and Proper beat that rival by a half length. 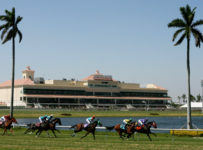 The winning time if 1:42.01 was solid, especially for a day when other turf winning times were relatively slow. 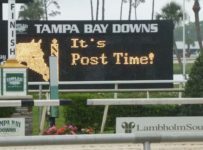 Good and Proper earned a Brisnet speed figure of 90. Among Bear’s Den entrants only Rizway, twice at 94, has a higher Brisnet number. “He’s like a plant you’ve been watering, and now you’re seeing it blossom,” Bates said of Good and Proper. Zayas is out until late next month with a broken collarbone. Bates found a more than able replacement for the Bear’s Den–Hall of Fame rider Edgar Prado. 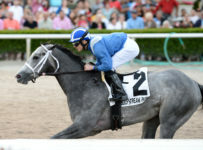 Rizwan, trained by Phil Gleaves, won the 1 1/16 mile English Channel Stakes at Gulfstream on May 2. 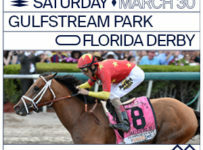 He won in the fast 3-year-old time of 1:40.48 and earned a 94 Brisnet figure. 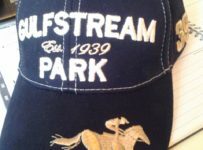 My Point Exactly, trained by Bill Kaplan, won the King Cugat at 1 1/16 miles on Gulfstream’s turf on June 20. 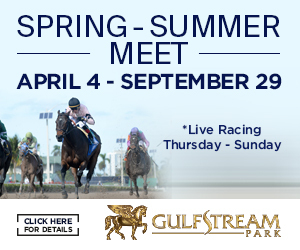 He was clocked in 1:40.88 and earned an 85 Brisnet figure. Rizwan finished fifth in the King Cugat, three lengths behind My Point Exactly. “We had the outside post (9) and I think that hurt o chances a bit,” Gleaves said. Rizwan has the outside post (7) again today. 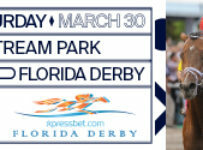 Jesus Rios will ride Semblance of Order for trainer Jena Antonucci. If Rizwan ca0nnot grab the early lead, Semblance of Order and longshot Mr. Amos Rizwan could end up making the early pace.